Every year, the construction aggregates industry that is in charge of mining aggregates like crushed stone, gravel and sand produces billions and billions of dollars’ worth of aggregate materials. Back in 2013, the total value of the aggregates that were mined topped $17 billion, says Pit & Quarry, and the entire industry continues to be very strong as a result of all of the new construction being done across America. Aggregate materials that are mined from quarries help create jobs. 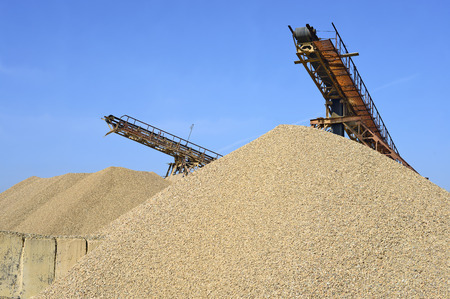 According to a recent National Stone, Sand and Gravel Association study published by P&Q. about 20 jobs are created for every $1 million in aggregate sales every year, which also provides a huge boost to the economy overall. There are many uses for aggregates that range across a variety of other industries. Here are 10 common uses for aggregate materials mined from quarries, reported by Pit & Quarry. They are added to concrete mixes to keep cement costs down and to reduce the shrinkage and cracking that is often found in concrete structures. They are used to line railroad tracks, helping carry the load of trains and providing better drainage of water away from the rails. They fill in voids around the foundations of homes and to protect underground pipes that are located beneath homes and other structures. They are used in the manufacture of some brands of cat litter. They are included in roofing shingles to make them durable enough to stand up to the weather. They are used to build roads, with about 30,000 tons of aggregates needed to build one mile of a four-lane highway. They are incorporated in landscaping designs to create drainage for plant life and to boost the aesthetic appeal of homes and businesses. They are used when creating bricks for use in construction, helping to make them stronger. Crushed limestone is used at power plants to reduce the high levels of sulfur dioxide emissions. They are used to provide the minerals that are essential for creating cosmetics, soaps, fertilizers, glues and many other everyday products. As you can see, there are lots of different uses for aggregate materials. Rackers Equipment specializes in helping companies that mine aggregate materials from quarries with our extensive inventory of mining and quarry equipment and machinery. Call us at 573-635-8700 or stop by today and see the equipment we have in stock right now at our location in Jefferson City, Missouri.